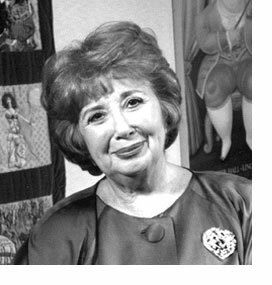 Beverly Sills, widely regarded as one of the most beloved and respected American opera sopranos, will be the guest speaker in Sam Houston State University's 2001 Distinguished Lecturer Series. Sills will be on campus Wednesday, Feb. 21, 2001, at 8 p.m. in the Beto Criminal Justice Center auditorium. Sills has delighted audiences around the world with her talent, charisma, and dedication. A member of the New York Opera from 1955 to 1980, she performed in the world's leading opera houses, recorded 18 full-length operas and numerous solo collections, and appeared in hundreds of television programs including "Live from Lincoln Center," "Young Peoples' Concerts," and "In Performance at the White House." She is considered the leading spokesperson for the arts in America today. She is recognized as a diligent and vocal advocate for insuring that the arts are available to everyone. She pioneered the use of English surtitles, in which the translation of lyrics is projected above the stage during opera performances. This method has since been adopted in opera houses around the world. Throughout her career she has cultivated young talent and reached out to young audiences. She has worked to reduce opera ticket prices by asking supporters to underwrite the cost of tickets. The reduced ticket prices are then passed along to student groups. Sills received four Emmys for her weekly television program, "Lifestyles with Beverly." Her biography, "Bubbles: A Self-Portrait," became a bestseller. Her honors include the Edison Award for Best Operatic Album of the Year, a Grammy Award, the Presidential Medal of Freedom, the New York City Handel Medallion, Kennedy Center Honors, and honorary degrees from Harvard University, New York University and the California Institute of the Arts. Earlier this year the medal of the Order of Arts and Letters was conferred on her by the Minister of French Culture for her vision and commitment to the arts. In 1980 Sills was named general director of the New York City Opera and presided over the city's Opera Board from 1989 to 1990. In 1994 she was elected chair of the board of the Lincoln Center for the Performing Arts, the position she currently holds. She has been actively involved in numerous charities and organizations, including the National Victim Center and the Hebrew Home for the Aged at Riverdale. Her efforts on behalf of the March of Dimes Foundation, which she has served as national chairman, helped the organization to raise more than $80 million. She also serves as a member of the boards of several foundations and corporations. Sam Houston State University's Distinguished Lecturer Series was established in 1980. Speakers have included Ashley Montague, Arthur M. Schlesinger, Jr., Zbigniew Brzezinski, John Kenneth Galbraith, Alvin Toffler, Richard Leakey, George Gallup, Jr., Larry McMurtry, David Halberstam, Lech Walesa, George Bush, and others.